Tea is nearly 5,000 years old and was discovered by a Chinese emperor Shen Nong when some tea leaves accidentally blew into a pot of boiling water and a brown liquid was infused. The Emperor was interested in the new liquid, drank some, and found it very refreshing. And so, according to legend, tea was created. In the 1610s tea became popular throughout Europe and the American colonies. 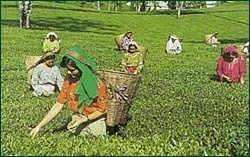 Today tea is the most prominent drink of world, and India is the world's largest producer, exporter and consumer of tea. 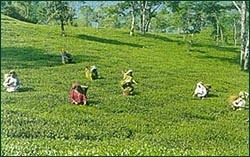 Assam teas are strong, well rounded and malty with rich aroma, flavor and stimulating effect. 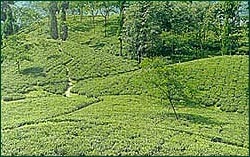 Darjeeling tea is the best and most expensive in the world due to its delicate and superior flavor and unique aroma. Tea is the most sought after beverage the world over. Indian tea more particularly has in it all that is best in tea. The varieties it produces have aroma, flavour, liquor, over and above the health benefits that tea provides. In fact no other beverage comes anywhere near Indian tea when it comes to overall quality and aroma, and health benefits of course. Tea breaks down into three basic types: black, green and oolong. In the world, over 90 percent of the tea consumed is black tea. Black tea undergoes a fermentation process as part of production. Green teas are unfermented, whereas oolong is partially fermented. Bicco can provide high quality tea in bulk, Such teas could be of your own choice of grades or blends which will have all the attributes of highest quality and aroma. Many things about tea have been said or written. Me for you, and you for me"
Thank God for tea! What would the world do without tea! How did it exist? I am glad I was not born before tea. Sidney Smith (1711-1845) The "English Billy Graham" of his day in a letter.